Smart illuminated apparels & accessories to prevent accidents and support rescue. More than 2.8 million workers1 die every year. Any second can save dozens of lives. Our vision is to reduce the number of accidents and minimize the number of fatal injuries caused by “lack of visibility” and delayed rescue. Combine our traditional products with new digital transformation technology to enlighten people and improve their safety with effective & efficient products and solutions. In close cooperation with our cooperation partner UVEX Safety Textiles, the first innovative LED light modules were integrated into three occupational safety products. In this project, two active luminous UVEX safety vests as well as a UVEX safety jacket (softshell), which are already marketed by UVEX, were created. People who work in the dark or with limited visibility such as fog or rain, from dusk till dawn are not well seen by other road users. It is necessary to wear extra protection to be seen better. 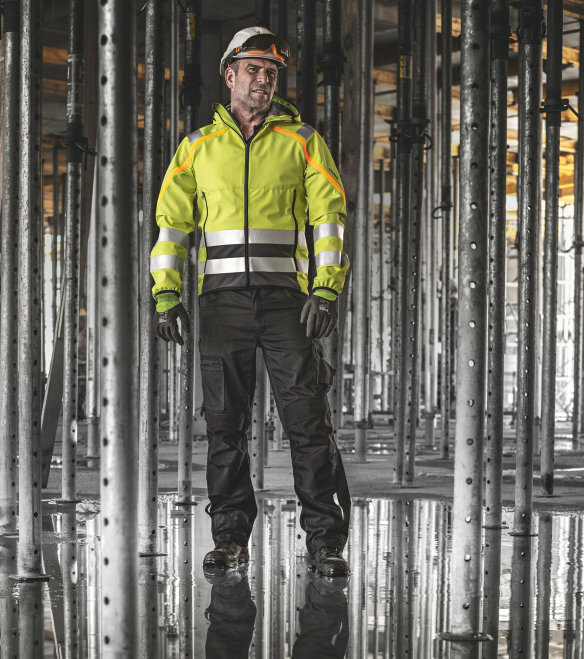 Currently the visibility is increased by integrated reflector strips in work wear clothing. Work wear is often equipped with reflectors. The reflector strips are however passive, which means that they only work when they are illuminated by other road users. In many situations this passive protection is not enough. The integration of self-luminous products from OSRAM creates a kind of active lighting that increases visibility and thus safety on the road independently of other road users. Always on the lookout for innovations - watch our videos! "We can do great new things with light." We are here to support you with your illumination ideas!